Young wolf captured in July of last year in northeast Washington. Washington state wildlife officials today released new wolf population numbers for 2013, confirming at least 52 individual wolves divided into 13 packs — one more wolf and four more packs than in the previous year's count. Department of Fish Wildlife officials described the additional packs as an advantage for the continued growth of the state's wolf population in the coming years. "While we can't count every wolf in the state, the formation of four new packs is clear evidence of steady growth in Washington's wolf population," carnivore specialist Donny Martorello says in a news release. "More packs mean more breeding females, which produce more pups." 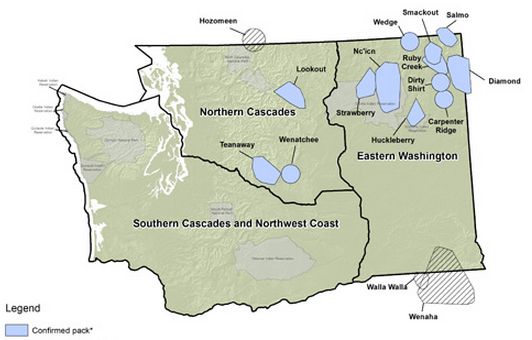 The 2013 annual report shows that three of the new packs reside in northeast Washington. Those packs, named Ruby Creek, Dirty Shirt and Carpenter Ridge, split off from the Smackout Pack. The fourth new pack consists of two wolves and resides near Wenatchee. Wildlife officials also reported a drop in wolf attacks on pets and livestock, noting that while they investigated 20 possible attacks in 2013, only four were linked to wolves. That's half of the eight attacks on calves and a sheep in 2012. 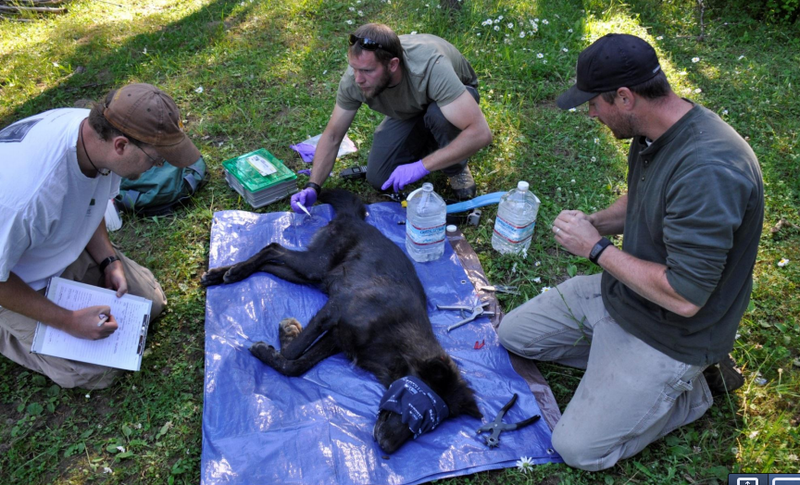 The attacks in 2012 led WDFW officials to kill off seven members of the Wedge Pack in Stevens County. The department reports it did not kill any wolves last year. "That was an extraordinary event that we do not want to repeat," Martorello says of the Wedge Pack. The updated survey did note five wolf deaths, with at least one animal being killed in a car accident and others killed during a legal hunt on the Spokane Indian Reservation. Just last week, Oregon wildlife officials found the first evidence of a wolf on Mt. Hood since 1947. The spread of wolves throughout the Pacific Northwest has proven a controversial and contentious issue with legal hunting allowed in Idaho and Montana. Federal officials also continue to consider de-listing the gray wolf from the Endangered Species List. Look here for more information on the Washington wolf population.